A journey into the destiny of your soul. Why did your soul choose to be born in that specific day? What have you received from your parents and what are you giving to your children – it is all visible and waiting for you to consciously discover it through your date of birth. – Date of Birth chart. Make your own, your partner’s, children’s with guidance. – Your children’s charts– how do they experience their relationship to both parents and what each of you brings them. – Kundalini Yoga and Meditations to enhance the experience. *The workshop will be intense and therefore we may choose to focus on some specific detail instead of covering all the topics. No previous experience in yoga or numerology is required! Taught by Sukhdev Kaur, Director of Dharamsaal Center, Kundalini Yoga Professional Teacher Trainer, Karam Kriya Numerology Trainer. 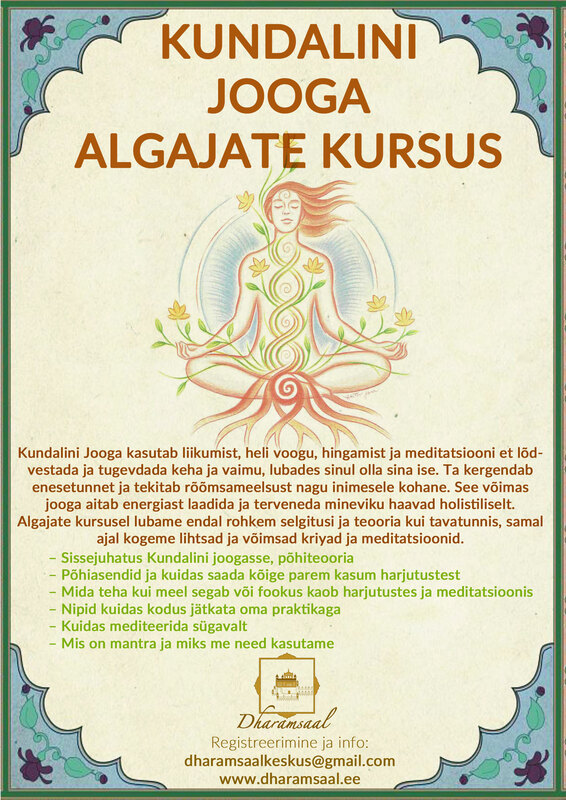 Price: 64 eur, registering by 30th march (24 eur deposit to Urban Dharma OÜ EE137700771002081453 and write an email to dharamsaalkeskus@gmail.com bring the rest in cash). Later registrations 74 eur. Language: English. We might organize translation to Estonian / Russian if needed, please inquiry. Bring comfortable clothes, notebook and pen. Mats, blankets and chairs available in the yoga center. Yogi tea will be provided during the morning break.